Heard the expression, ‘put your money where your mouth is?’ Well here are some folks who’ve put a fish where their face is. And you’ve heard of fishing clothing? How about fish as clothing? Check out the ladies clad in a mantaray – they don’t look too pleased. 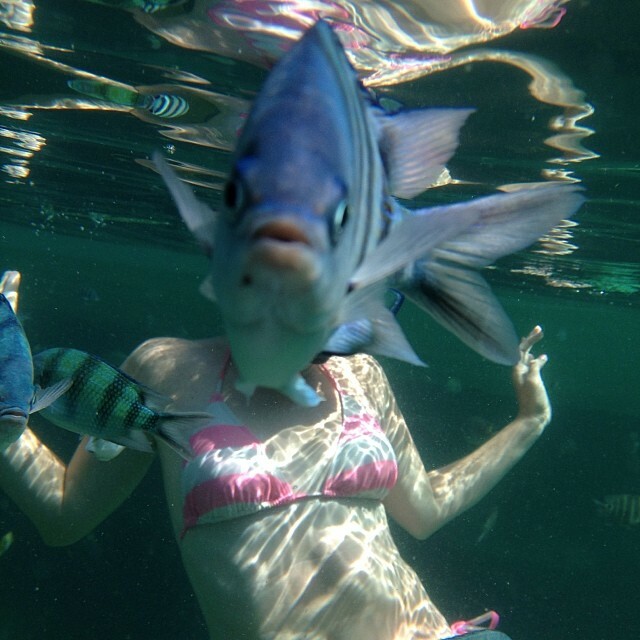 Here is a collection of fishy photobombs to get your fins in a flutter – enjoy! A very cheeky parrot fish. Who knew stingrays could be sleazy?! A very solemn looking photobomb. This entry was posted in Fishing clothing by Fishtec Blog. Bookmark the permalink.